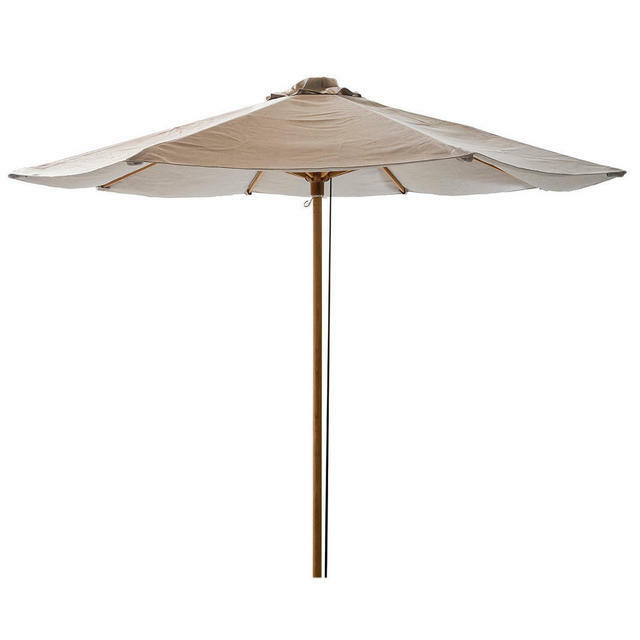 These parasols are created with a focus on a classic and timeless design which will fit into any decor in your outdoor environment. 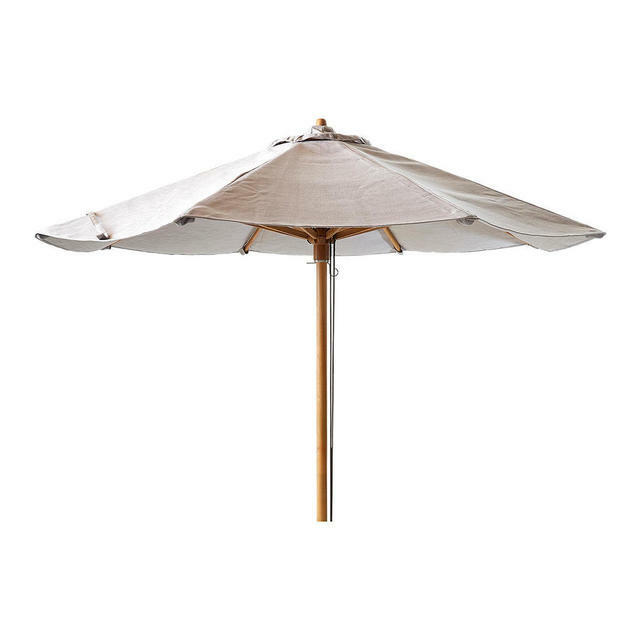 The Classic parasols by Cane-line are in a variety of different sizes, which can be matched to the outdoor lounge area or to your outdoor dining area, so the space can be enjoyed even when the sun is at its highest and hottest. The frames are teak and the canopies are in classic beige parasol fabric. 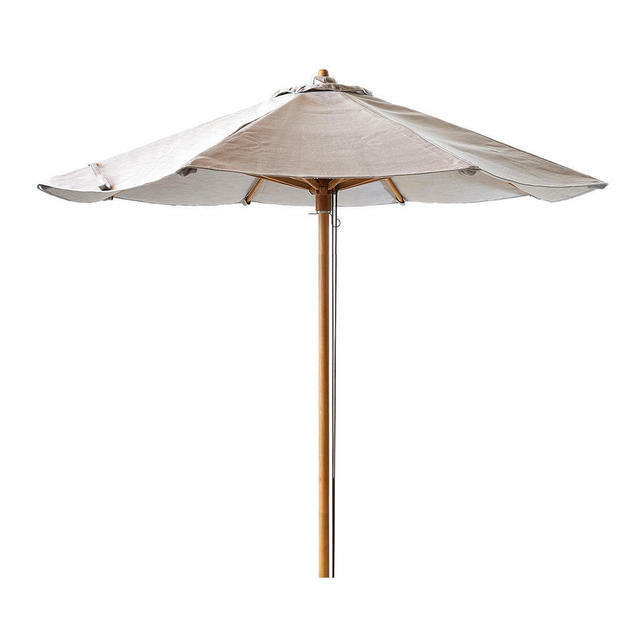 All the Classic parasols have a pulley to raise the canopy with. 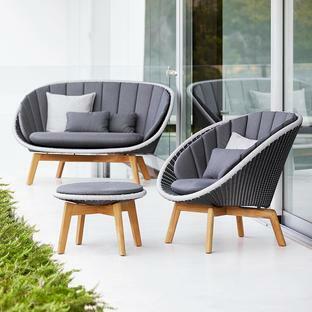 The Low Classic parasol is for the Peacock daybed only, see here. The classic parasols are made from certified teak wood. 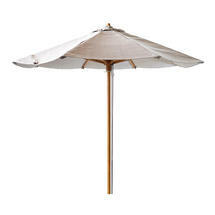 The fabric of the parasol is the durable Solution dyed 280gr/m2. 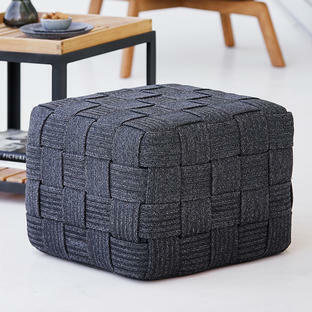 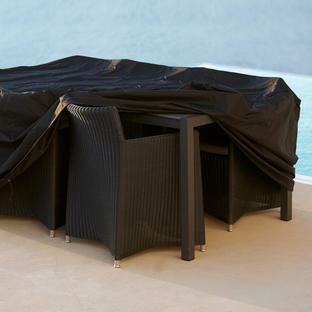 This ensures a weather resistant parasol cloth, which is also resistant to UV rays. 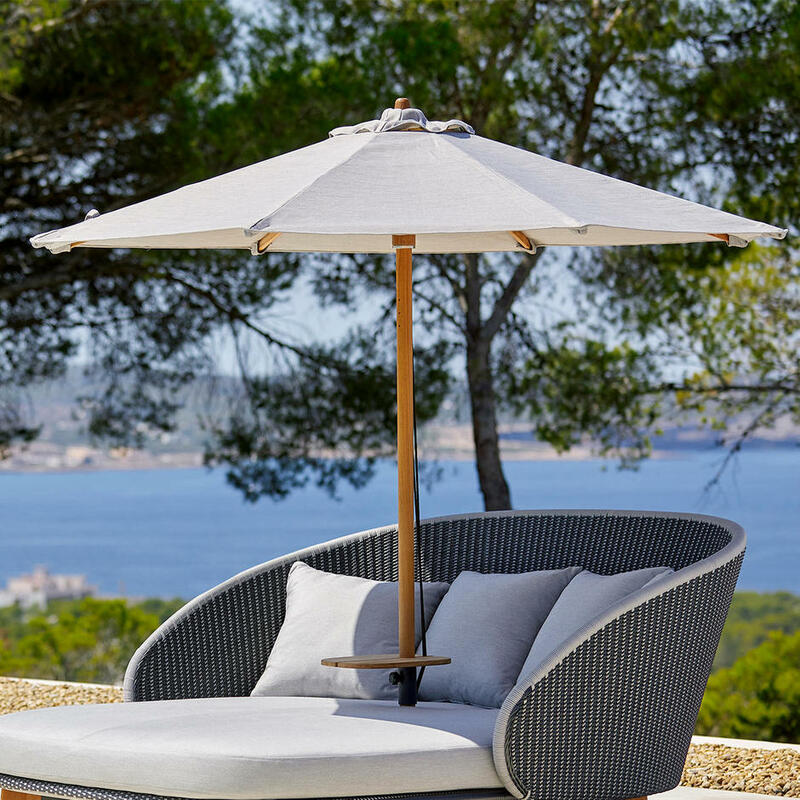 Please note the Classic Low parasol is 20cm shorter and suitable only for the Peacock Daybed only, see here.